Need crawlspace sealed and foundation waterproofed. After the last rainfall there is water seeping in from foundation wall under foyer stairs. I live in an old house with a very shallow crawlspace/foundation. The floor in the house is sagging. We would like to see if anything can be done to fix it. "this is the second job they did for us and we couldn't be..."
"Fantastic overall, you live up to your reputation! Thanks!" We not only adhere to the highest industry standards, we strive to be the industry leader in the home improvement related services we provide. We also use state-of-the-art products and technology which are designed to fix your home. 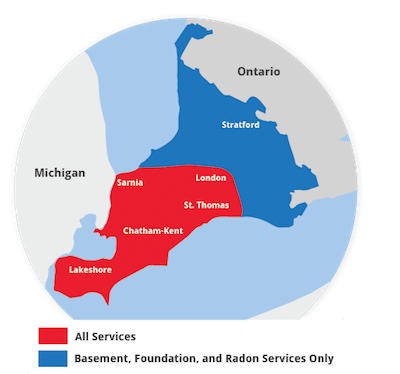 We are the authorized Basement Systems dealer in Maidstone, ON.